Fox Microblading Academy is the perfect place to master semi permanent makeup. Our school is designed for distraction free learning in a comfortable environment. We pride ourselves in giving our students small class sizes at a world class facility. Our classes are limited to 4 students, so you are guaranteed to get more one-on-one attention from our master instructor. Our microblading classes teach basic and advanced Microblading techniques. Our sterilization program exceeds health department guidelines, so you can rest assured that you and your clients will be safe during and after the procedure. We don’t charge extra for bloodborne pathogens certificates or microblading kits. We give you a price and we stick to it. Our prices include everything needed for you to successfully complete the Microblading Certification course. This includes the bloodborne pathogens certificate, microblading tools, pigments, supplies, and school uniforms in addition to standard amenities. Students and models love Fox for many reasons. Most importantly our curriculum is made to the highest quality standards in the Microblading Industry. And second, our students create amazing eyebrows to die for. 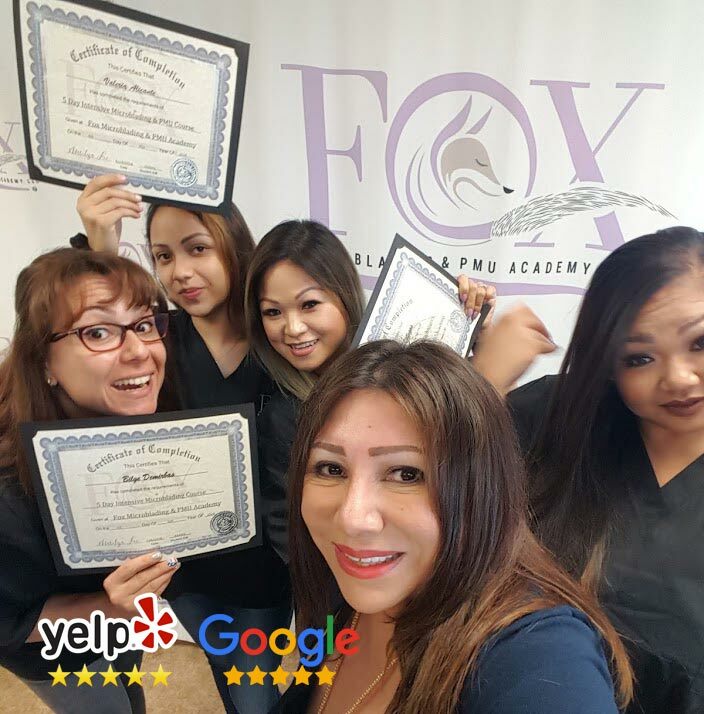 Read our reviews and see why students and models prefer Fox Microblading Academy more than any other school. Reserve Your Seat With A $500 Deposit! Lock in your early registration price with a $500 deposit. Student who register 2 months in advance can save up to $500 of registration fees. Seating is limited so register as soon as possible. Don’t let your future pass you by.